The Hardesty-Higgins House Visitor Center (a Pokémon stop) is launching an Instagram contest for participants of the new popular Pokémon Go game. Here’s how you can participate and win a Harrisonburg swag bag from Rocktown Gift Shoppe. Prior to capturing the Pokémon, turn on the camera feature, putting the wild Pokémon into the live scene where your camera is facing. Then capture the moment with the in-game camera. Line up your shot and hit the shutter button to take the photo, but be creative with your photos. Whoever has the most creative picture with the Pokémon character and uses our hashtags (#hburgrocks and #pokemongo) by Monday, August 15th will be entered to win! Please make sure you remember to be safe & respectful while playing the game. Happy hunting! Join us by discovering Pokémon in our own city. 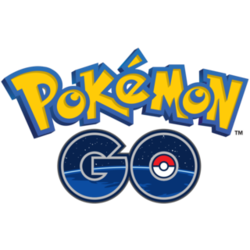 Pokémon GO allows you to find and catch more than a hundred species of Pokémon as you explore your surroundings. Get on your feet and step outside to find and catch wild Pokémon. Explore Harrisonburg to capture as many Pokémon as you can. As you move around, your smartphone will vibrate to let you know you’re near a Pokémon. Once you’ve encountered a Pokémon, take aim on your smartphone’s touch screen and throw a Poké Ball to catch it. Be careful when you try to catch it, or it might run away!